Dog fire ant bites: fire ants are particularly aggressive ants. They are typically found in large groups and they tend to attack easily. The inquisitive nature of dogs makes them prone to fire ant bites. The ants will typically bite the nose, feet, legs and toes. Reactions to the bites may vary from mild to severe. Have your dog see a vet immediately should him/her appear to have difficulty breathing, agitation, drooling, scratching face,vomiting, diarrhea or seizures it is best to take him/her to the closest emergency center and treat for anaphylactic shock. Fire ant bites cause most dogs to feel pain upon being bit and then they typical cause a lot of itchiness. The dog will lick and bite the area further aggravating it. Make a paste of baking soda and water and apply to the ant bite areas. Apply an ice pack on the skin (not directly place a cloth in between). 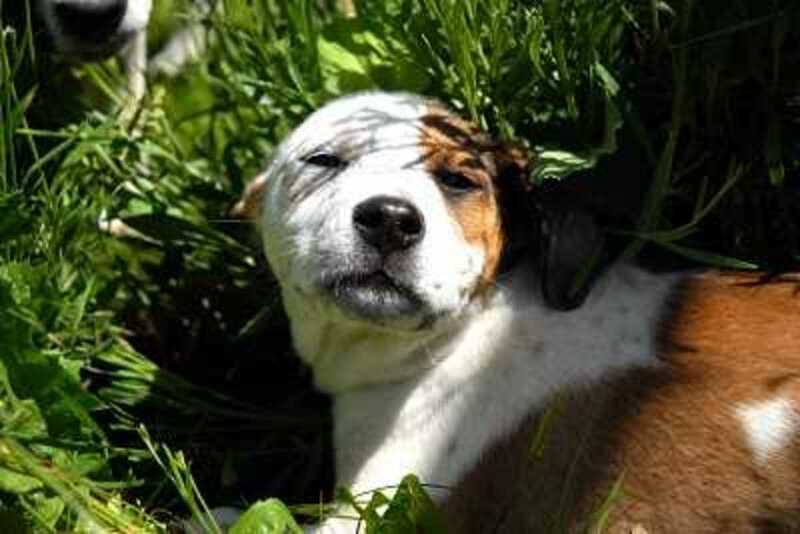 In severe cases a dosage of 1-2 mg of plain Benadryl per pound is a good remedy for dogs suffering from insect bites. As with administrating any medication over the counter it is highly advisable to discuss this option with your veterinarian first. Never hose down a dog with fire ants. The ants will only panic and bite down harder. Keep an eye on the bite area. If the area swells up this may indicate a possible infection that requires treatment. Try to limit your dog biting at the area. Fire ant bites seem to be painful at first and terribly itchy after ward, try to put ice packs and baking soda and water paste to give relief. Always keep on hand Benadryl for signs of allergic reactions.-Use common sense and call your vet promptly if something does not look right. Contact an exterminator should you see fire ants in your yard. A few days later the fire ant bites will appear as grayish-white areas. They do tend to take a while to disappear. Always keep an eye on the area for signs of infection. My beagle Shiloh was bitten on the bottom of his paw by a fire ant, shacking his paw, limping and crying. I plunged his paw in a container of ice water a couple of minutes, gave him 1 benadryl, waited ~ 10 minutes and plunged his paw in the ice water again. He is now resting, stopped licking and crying after first plunge!! Plain Benadryl should be given as quickly as possible. (1mg per pound of dog weight.). YOU MAY NEED TO REPEAT THIS THE NEXT DAY. WASH THE BITES WITH SOAP AND WATER TO REDUCE THE RISK OF INFECTION AS SOON AS POSSIBLE. Thank you, I saved my dog, Harry from a serious bite after the paste. I went to the vet afterwards and they got my dog another treatment. Thank you so much for this article. My dog is now comfortable after the baking soda paste treatment. She was whimpering while trying to get comfortable after getting bit by a fire ant. Thank you, thank you!